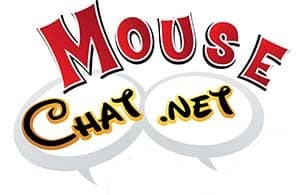 Guests of Honor are Disney artists: Tony Bancroft, Rick Law, and Dale Baer; Disney Legend: Alice Estes Davis; and Disney Author: Mindy Johnson. 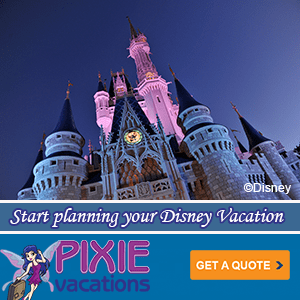 BE OUR GUEST EVENTS has something new for you!! Scribbles & Nibbles, our first ever ARTIST signing event, takes place October 5th, 2013 2-5 PM at McCormick and Schmicks in the Garden Walk, Anaheim. A new and unique approach to typical artist signings, this event allows fans an up-close opportunity to meet and interact with Disney artists and talent. Light Hor D’ Ouvers and Iced Tea will be served as you mingle with the Guests of Honor and other Disney enthusiasts. Every guest will receive something special from each of the artists. Tony Bancroft will be signing and sketching at the event in his new book, Directing for Animation: Everything You Didn’t Learn in Art School which may be pre-ordered through BE OUR GUEST. Tony’s book is $35.00 (No shipping & Handling!) Checks should be made out to Tony Bancroft. A special raffle to be held with all proceeds to be donated to: The Roy & Patricia Disney Family Cancer Center. One of the very special raffle items to be offered: Win a Day in Disneyland with Disney Legend, Imagineer Bob Gurr. Please note cost to attend Scribbles & Nibbles is $50.00 per person. Attendance for this very special event is strictly limited to 50 persons. All attendees must be age 18 or older. Semi-formal dress (No jeans, T-shirts, sandals, baseball caps or shorts). First come, first served, so register now! We look forward to seeing you at Scribbles & Nibbles on October 5th! TONY BANCROFT is a creative artist and director with over 20 years experience in the animation business. Working at Disney Feature Animation where he created Pumbaa in The Lion King and Kronk in The Emperor’s New Groove and co-directed Mulan. Since then he has directed films, commercials, and character animation in both 2D and 3D. Tony has worked on such legendary animated productions as Beauty and the Beast, The Rescuers Down Under, and Aladdin. His diligence and a meticulous eye for character performance were rewarded when he became the Supervising Animator for both The Lion King and The Emperor’s New Groove. He was named co-director of the award-winning feature Mulan; adding to his list of credits, “youngest director in Disney’s history” and an Annie Award for Best Director that year. RICK LAW is an illustrator and producer, having worked for The Walt Disney Company for over 20 years. For over a decade Rick created art that graced a great number of Disney videos & DVDs. Rick’s personal interpretations of the Disney characters have been highly regarded by fans. Rick was the featured toy designer to support the release of Toy Story 3 across Asia. 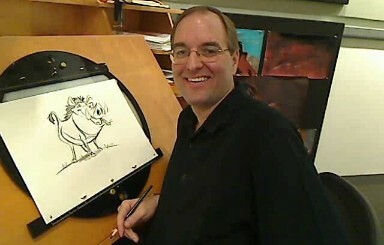 Rick was a featured live-drawing artist at 2011D23 Expo to support the Winnie The Pooh 100 Acre Artists campaign. Currently Rick works as creative manager for Disney Publishing/Disney Consumer Products and has been one of the creative leads in the design and launch of the successful Disney English program in China. Adding to his credits, Rick has collaborated on numerous other non-Disney entertainment projects, most recently as associate producer on the acclaimed documentary: Drew: The Man Behind The Poster. DALE BAER is a character animator with over 40 years of experience in the animation industry. Working at Disney Feature Animation Dale has been supervising animator of Yzma in The Emperor’s New Groove, Alameda and Slim in Home On The Range, Wilbur in Meet The Robinsons, and Owl in Winnie The Pooh (2011) He also has 27 years in the commercial field. In Dale’s studio, he collaborates with top industries to produce high quality animated productions, specializing in traditional and digital animation. Dale is an Annie Award winner for the character Yzma in The Emperor’s New Groove. ALICE ESTES DAVIS is a true Disney Legend, inducted in 2004. At Walt Disney Imagineering (WDI), Alice was the original “designing woman.” Alice enjoyed a fashionable Disney career designing and dressing animated figures for such beloved Disneyland attractions as It’s A Small World and Pirates of the Caribbean. In 1963, Walt Disney recruited Alice to contribute her skill to the attraction it’s a small world for the 1964-65 New York World’s Fair. Collaborating with art designer and Disney Legend Mary Blair, Alice researched, designed, and supervised the creation of more than 150 highly detailed costumes for the Audio-Animatronics® children of the world. In 1965, she translated the pirates’ attire from Marc’s original drawings of the shiver-me-timbers cast and crew into clothing designs and patterns for all of the costumes featured in Pirates of the Caribbean. Two years later, when the attraction opened at Disneyland, guests were dazzled by the animated figures and their colorful, textured pirate-wear. Later, Alice contributed to General Electric’s Carousel of Progress and the Flight to the Moon attractions. MINDY JOHNSON is the author of Tinker Bell: An Evolution (Disney Editions: ISBN 978-1423172017). Mindy has assembled an astounding tome of history, research, and “pixie dust” to tell the story of the Peter Pan’s feisty friend, Tinker Bell from her beginings over a hundred years ago up until the present day.